Originally born in Norwich, Aaron is a University student studying Economics with International Trade and Development, at Nottingham Trent University. He is currently on an Industrial Placement Year with us at Stewarts, after working part-time as a Barista at Blend to help fund his first two years. Aaron first discovered his love for specialty coffee whilst roaming the cobbled streets of Norwich in 2015 and has watched the coffee scene here become what it is today. 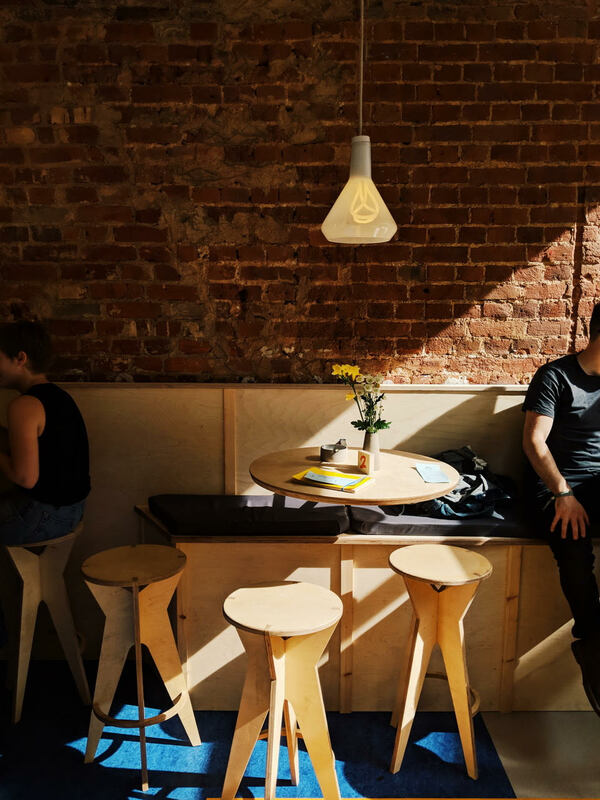 There are now many great coffee dwellings in the city, but here are a few of the best/Aaron’s personal favourites. 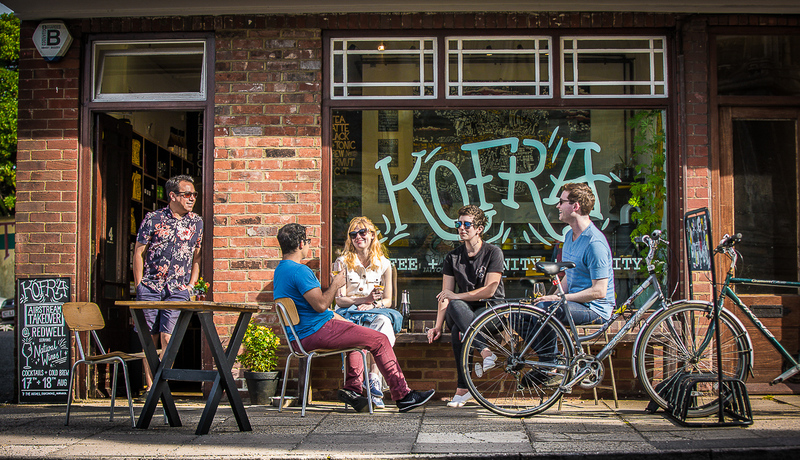 Without a doubt, Kofra is one of the best and most consistent coffee brewers in Norwich. Kofra features various highly regarded roasters throughout the year, this has included Square Mile, La Cabra and Koppi. Kofra currently has 3 sites based in and around the ‘Golden Triangle’ of Norwich. The Mothership (4 Unthank Road) and its most recent premises 16 Onley Street both offer a neighbourhood coffee shop vibe, with great music and décor. The third site is within The Sainsburys Centre for Visual Arts, UEA, offering a quiet, tranquil spot for students and visitors. In any of these locations, you will always find a great Batch Brew, always my go-to choice when paying Kofra a visit, however, the espresso is also always delicious, so ask the friendly baristas for todays recommendation. 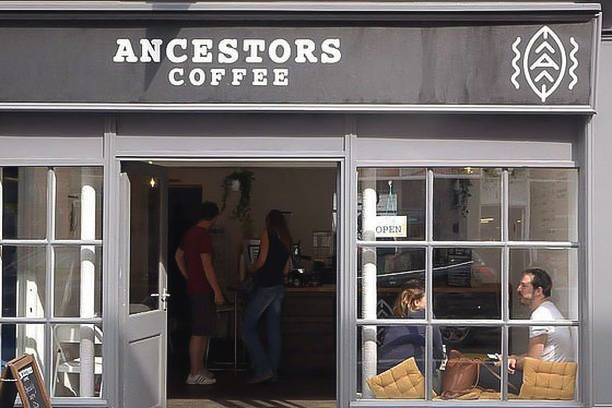 Norwich is considered one of the most vegan-friendly cities in the UK, and Ancestors Coffee is a great example of why it has earned this reputation. The specialty coffee shop based on bustling Magdalen Street is 100% vegan and features a range of awesome coffee roasters from around the world. Ancestors have also recently hosted Norwich’s first Latte Art Smackdown – using oat! Here, I usually go for a filter coffee of their recommendation, often optimising the true potential of the V60, however, their espresso-based drinks (paired magically with Minor Figures oat m*lk and prepared on a Vitoria Arduino) are not one to miss. They also offer a full menu, including Breakfast Items, Buddha Bowls, Smoothies and Sandwiches, thus is a great place to try something new and nutritious, whilst immersing yourself amongst the plants. Their Instagram consistently gives you updates on coffee offerings and goings on, so make sure to drop them a follow. 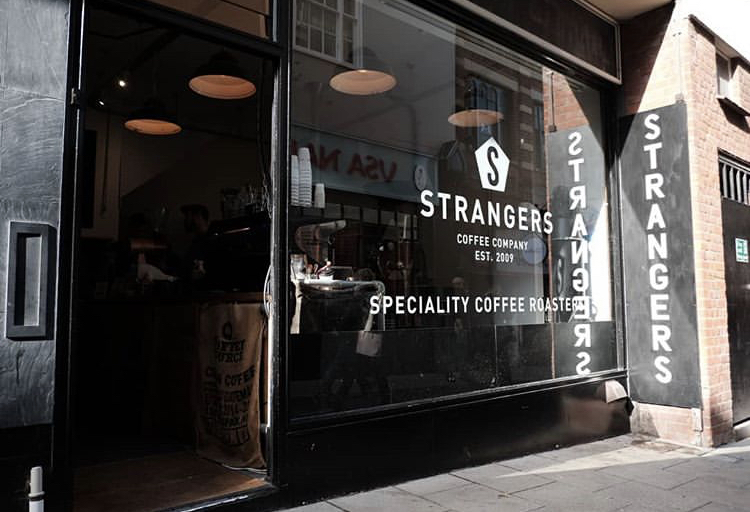 Strangers Coffee is a favourite among the central locals and is always super busy, for good reason. Their coffee shop is found on Pottergate, with the roastery just around the corner on Dove St. If you’re going for some freshly roasted beans or a takeaway, I recommend heading to the roastery, where you will find a wall of coffee, equipment, merchandise and a 2-group Conti Monte Carlo for all your take-out needs. The guys here are super friendly and always up for a good chat, so don’t be shy! 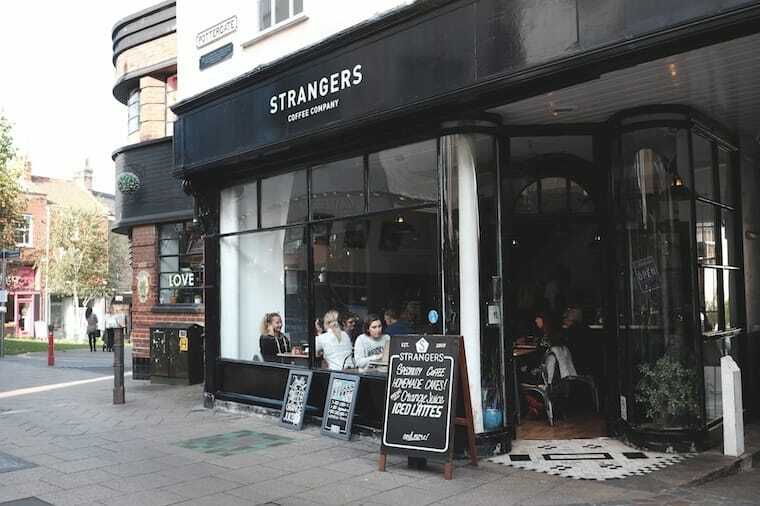 If people-watching is more your thing, head to the Pottergate shop, grab a bite to eat, a coffee and a seat in the window, looking onto one of the most celebrated streets in Norwich. 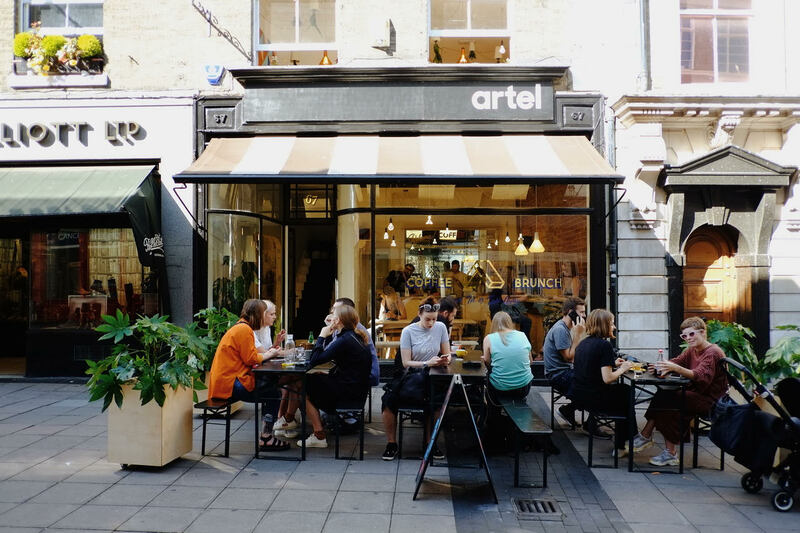 Artel began as a tiny two-table shop on Wensum Street, crammed full of hanging plants and character. As you walk in you are hit with the warmth of the coffee aroma and a friendly face. The shop is owned by Kieran Harper, who also has a second business as a sign painter, thus the windows are always beautifully signed and regularly changed – you can also find his work scattered around Norwich, signing up the independent shops. Artel has recently opened a second store on London St, another highly valued and unique cobbled street, with high footfall. This shop keeps the same theme of clean, well designed furniture and beautiful branding, balanced of course by plants. This shop offers a larger food offering due to the addition of a Kitchen, so if you’re looking for a good brunch spot, this is high up on my list. The Final spot on my list is Little Red Roasters, another coffee institution of Norwich. I have a lot of respect for Little Red, as this is probably the first place where I began to appreciate great espresso and specialty coffee. They roast and brew some great coffee and serve it from 3 locations. My favourite (on a warm day) is their original market stall within Norwich Market, also an essential stop for some street food and exploration. Their other city centre shop is on St Andrews Street, which offers more seating and great interior design. The third spot is slightly further outside of the center on Grove Road, which offers a lovely neighbourhood cafe feel and outdoor seating. Both of the later spots offer great light lunch snacks, which pair perfectly with their staple house spro’. This entry was posted in Business, Coffee News, General Ramblings, Lifestyle. Bookmark the permalink.